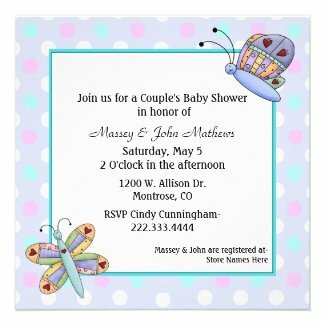 If you're looking for a Spring baby shower theme, I can't think of anything more springy than a beautiful butterfly. 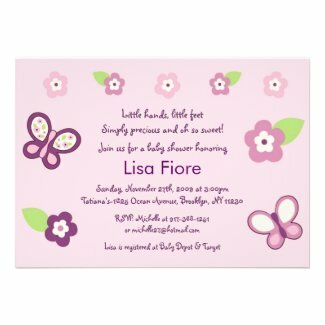 Take a look at the 10 butterfly baby shower invitation designs I've featured here to get some ideas. In my opinion, one is prettier than the next. You might think that butterflies are just for girls but there's a couple here that I think would be fine for a baby shower for a little boy or for those who've decided not to share the gender of their child until birth. 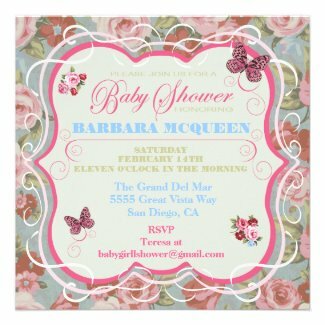 As always, all of these cute butterfly invites were created by the card designers at Zazzle.com and there's lots more to choose from. Rectangle invitations measure a large 5" x 7" and the squares are 5.25" x5.25". 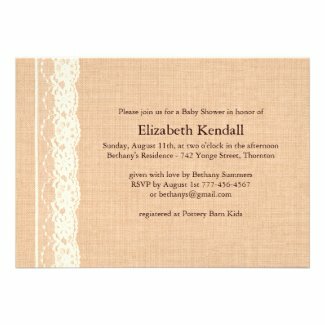 Square invitations will require additional postage when mailing but they're so cute that they're worth a few cents more. Click on any of the designs to learn their prices, to personalize and/or to order yours today. Once ordered, your invitations will be made within 24 hours. 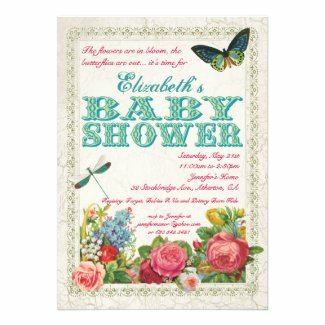 See everything for a Butterfly Baby Shower including invitations, stickers custom postage stamps and more. Have you got any homemade ideas for a butterfly baby shower? Share them in the comments section here. 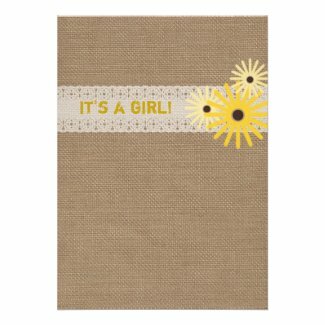 Sunny yellow is the perfect color for a Spring baby shower. 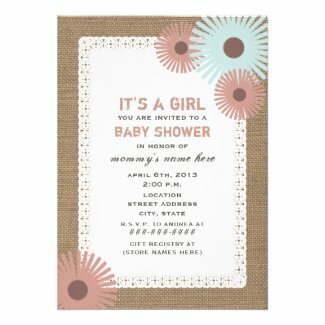 If your new little bundle of love is due anytime in Spring, you're sure to find the perfect Shower invitation here to invite family and friends to welcome him or her. 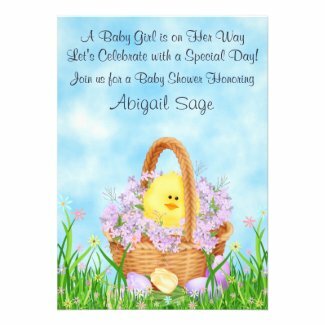 Our featured favorites include cue yellow duckies, pretty yellow flowers, chicks, springtime owls and more. Yellow can be used for showers honoring either a boy or girl and it's perfect for the parents who prefer to keep the gender of their baby a surprise. Browse through to see what we've chosen or visit Yellow Baby Showers at Zazzle to see everything available. 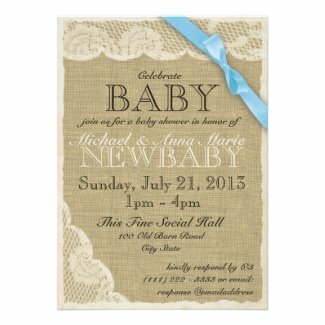 All of the cute yellow baby shower invitations featured here measure a large 5" x 7" and come with a white envelope. Pricing is determined by your choice of card stock. Visit each invitation to learn more about pricing and discounts. FYI... 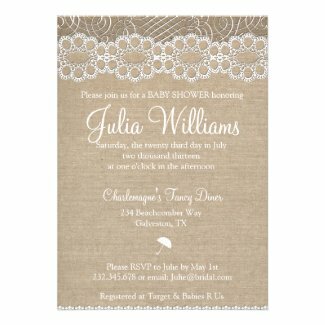 The basic card stock produces gorgeous invites and comes highly recommended so there's really no need to spend extra on fancy paper. The invitations are easy to personalize and come with a 100% satisfaction guarantee. 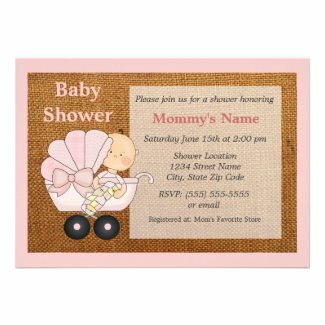 There are literally hundreds more cute yellow baby shower invitations to choose from too! Everyone has a different idea about what's cute. 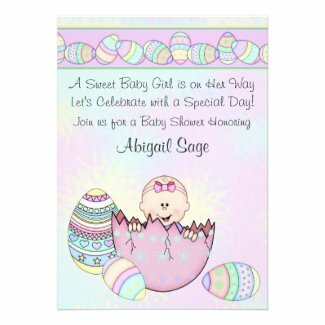 Which of the featured yellow spring baby shower invitations did you think was the cutest? Your answers will help us plan future Top 10 Best Invitation lists for Seasonal Showers. 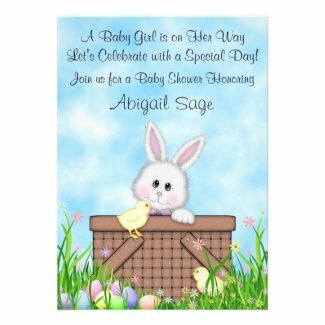 If you're welcoming the wee lad or lassie anytime in March or if your having a baby shower near St. Patrick's Day, any of the featured 10 cute green baby shower invitations will be perfect. 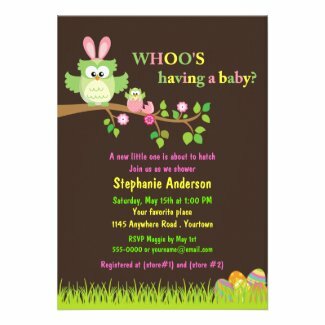 I've chosen what I think are the 10 best St. Patrick's Day baby shower invitations created by the card designers at Zazzle.com. Browse through to find the one that matches the mommy-to-be's personalty and style. 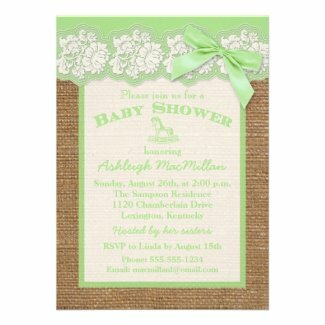 You'll find cute green shower invitations in all shades of green and full of Irish spirit including shamrocks, rainbows, pots o'gold, Leprechauns and more. 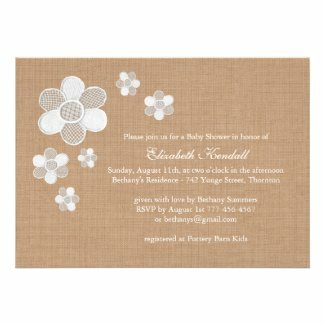 Each of these unique personalized baby shower invites comes with a white envelope and Zazzle's 100% satisfaction guarantee. Large invites measure 5" x 7" for the rectangular shapes and 5.25" around for the squares. Keep in mind that square invitations will require additional postage when mailing. Pricing will be determined by your choice of card stock but the basic comes highly recommended. In fact that's the only type I've ever ordered and have always been extremely happy with the results. 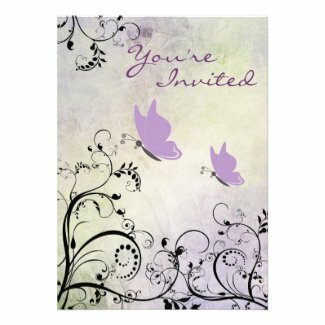 You'll also find discounts for bulk purchases of 25 invitations or more. Share you best ideas for a fun St. Patrick's Day Baby Shower here!